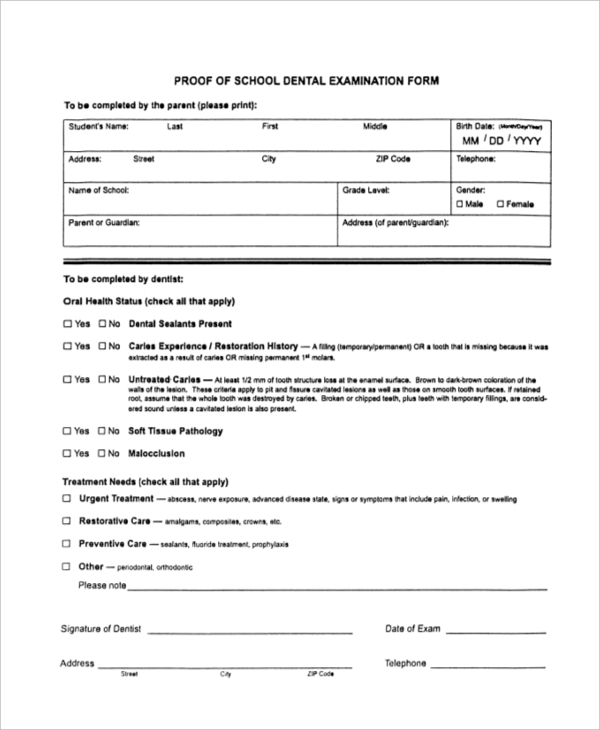 The proof of dental examination form is a document given to a patient to prove that indeed they received dental care services. 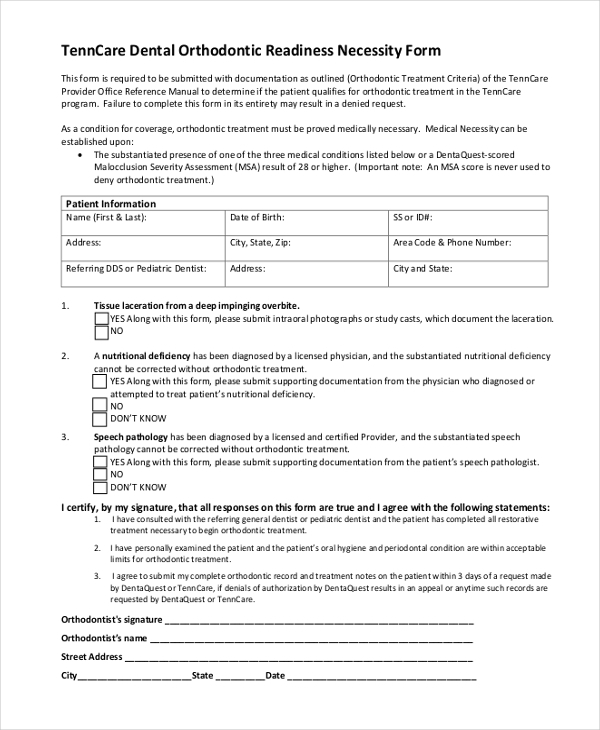 The form is useful if the patient isn’t responsible for the payment of the services. If a patient requires or urgently needs dental screening, you have to notify them ahead of time to help them decide when to come for the examination. You can use the following form. 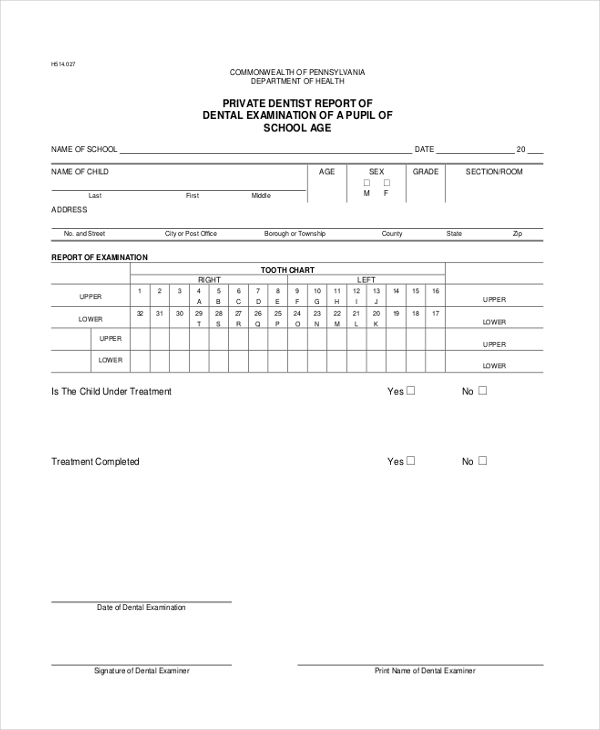 The purpose of the dental examination form is to help patients to understand the condition of their teeth. Regardless the state of a patient’s dental formula, they need the details about their teeth. A pupil’s teeth may take quite a while to examine and treat, depending on the exact medical condition on hand. 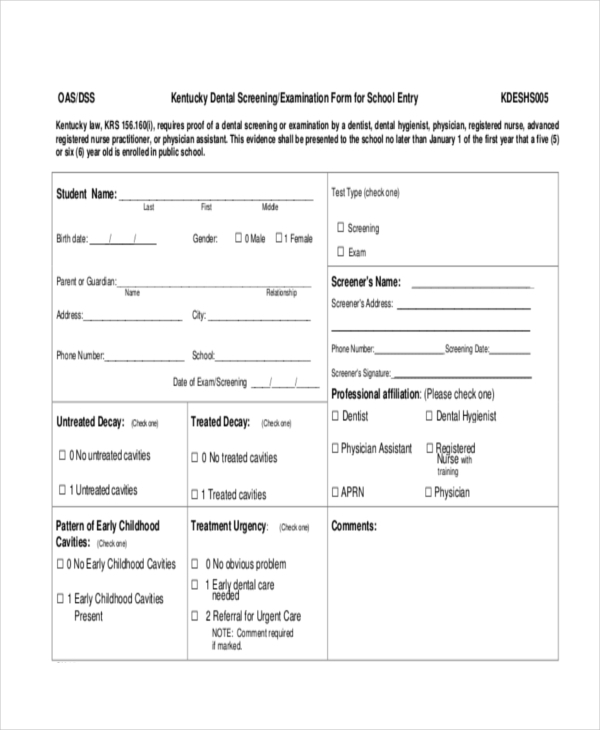 Use this form to provide parents with accurate dental information. Whether you are examining an adult or just a kid from Kindergarten, you need to provide them the information about the condition of their teeth. You can do that by using this form. The purpose of this form is to provide the necessary information to a dental patient so that they are aware of when exactly they should come for dental lessons as well as what they should expect to learn. As a dentist, you need to provide details about dental operations to a patient. 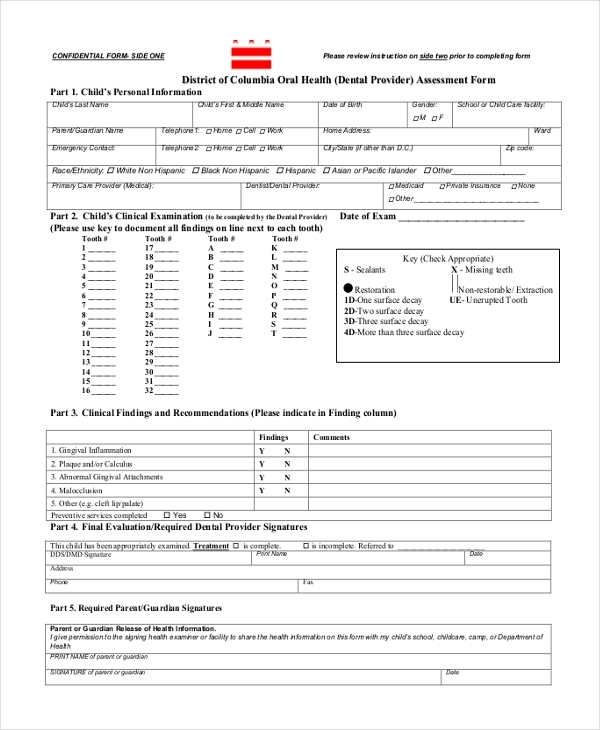 You can use this form to provide sufficient information as needed by a patient. 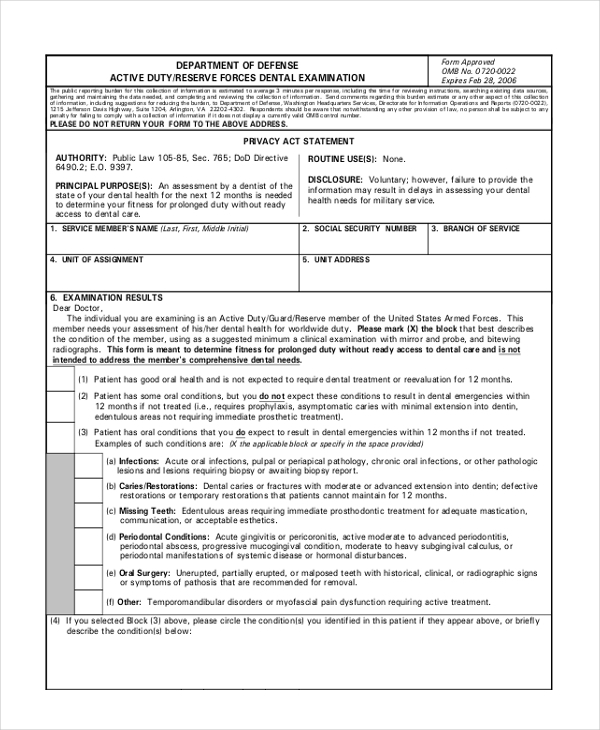 As a dentist, you must always provide a copy of this form to your navy clients so that they know when to come back to your healthcare premise for further examination. 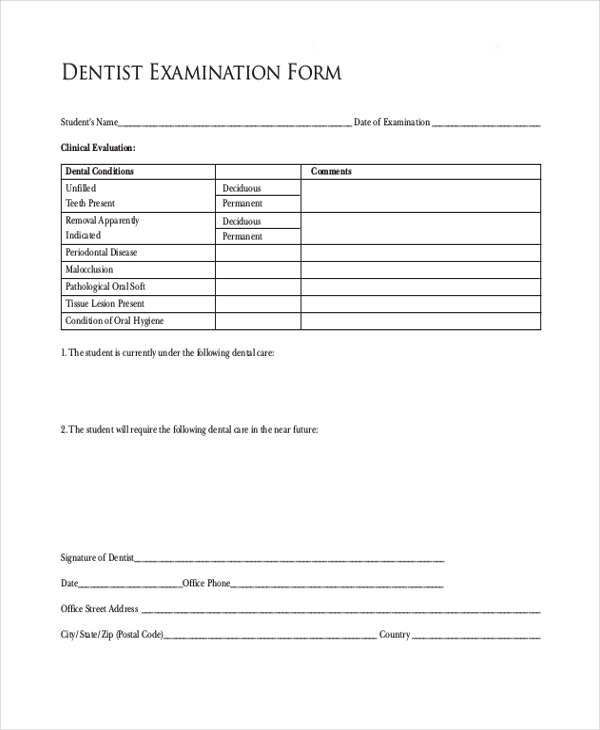 Whether you are a dentist operating in a small office in town or yours an expanding dental business in the city, you will need the dental examination forms. The forms will help you to communicate with your target client with ease. 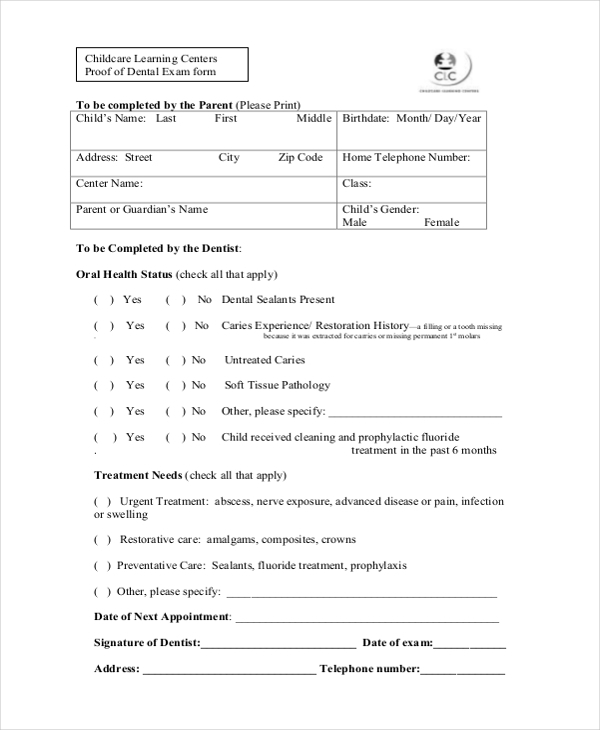 The forms are valuable for writing dental information in summary, usually in a way that a patient is able to understand. It is important to understand that dental examination forms often contain important details about the dental condition of an individual. In that case, you need to make sure you remind the patient to make reference to the forms from time to time so that they don’t miss dental appointments.